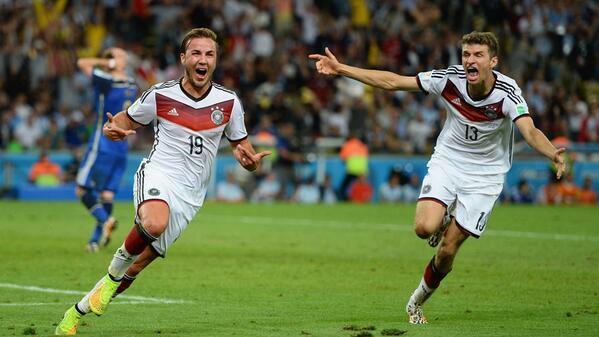 Moments after Mario Götze (19, left) scored the World Cup winning goal against Argentina. July 5 - 60. ARG 0* July 12 - 63.